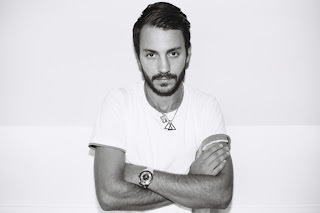 Parisian producer Brodinski took on a track called "I Love You" from the very creative Woodkid and made a new remix of it. I'm very selective when it comes to remixes of artists I really admire as a lot of times producers might ruin it. Yet, Brodinski is a master at his craft and found a menacing sound that Woodkid's vocals fit right on. I'm not only surprised, but quite impressed with the results. Stream it below.